Translating the article was a challenge. 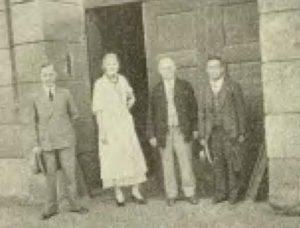 The US Library of Congress provided a slightly blurry scan, in which Adobe Acrobat was able to recognize most but not all characters. In fact, enough characters were misread for Google translate to produce output that looked like bad lip reading. In addition, the Japanese script has been simplified in the past 80 years and I had to look up characters for many words that have been converted to phonetic spelling, including “Germany” and “Berlin.” The translation that follows is my best try. A professor Aoki appears in the two photographs in the article but no explanation is given as to who he was. I have broken it down into sections and added my comments for each section. Kumabe was an engineer looking for what he could learn from German factories. Either he was apolitical or didn’t feel free to make any comments on Germany’s politics in a professional magazine. Whatever his feelings were towards the Nazi regime, we can’t tell from his report. His remarks, however, are infused with the sexism and the nationalism of the society he lived in. We can’t blame him for it. His forte was internal combustion engines and he was interested in machine tools. Both Japan and Germany were on track for the disasters that occurred a few years later but he doesn’t show that he had any inkling of it. Michel Baudin‘s comments: In 1935-36, “complicated international relations” probably refers to the protectionist policies adopted by many countries as a response to the Great Depression, like the Smoot-Hawley act in the US and the retaliations to it from other countries. 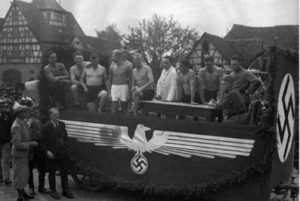 By then, there had been boycotts of German products organized by private citizens but no economic sanctions against Nazi Germany and been taken by any major power. 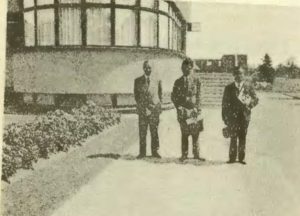 Michel Baudin‘s comments: Kumabe’s comment about the Harvest Festival suggests his visit took place in the fall of 1935. His main point in bringing it up is that Germany’s economy is centered on manufacturing, not agriculture. Even in 1936, it was a fact you could find out without traveling half-way around the world. As pointed out in Manufacturing Today, By The Numbers, it is still true in Germany today that manufacturing accounts for more of the per capita GDP and or employment than in other advanced economies. 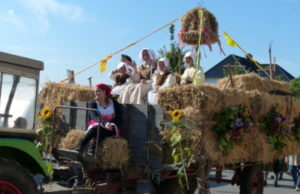 As of 2018, harvest festivals still occur in Germany, as harmless pageantry, about as controversial as the Pasadena Rose Parade. In 1935, however, it was more sinister. Kazuo Kumabe: “I saw various things when observing German industry through the eyes of a Japanese engineer. One of them is that factories are not concentrated in one place. For example, even the well-known Benz factories are spread through 45 locations. Although you can say that not concentrating in one location is a characteristic of Germany across industries, in the industrial sector in Japan today, I find it very interesting that we are also heirs to the decentralization of rice production. Michel Baudin‘s comments: Mercedes-Benz currently has 15 production locations *worldwide*. If it had 45 in 1935, it is most likely because it was more vertically integrated then. Is it true in 2018 that there are no concentrations of industry in Germany? Kumabe didn’t have Google Earth to work with but we do, and it shows some industries with milling machine factories and car assembly more widely distributed than semiconductor fabrication or aircraft assembly. Kazuo Kumabe: “I also noticed that factories are often named after the inventors of the machines or instruments that motivated their creation, or after their location. There are in particular plenty of factories named after an inventor or designer with a history of almost 100 years. It is profoundly meaningful that many founders’ families had retained control of the business through many twists and turns over many years. Michel Baudin‘s comments: Kazuo Kumabe was working for the company owned by the family of his university friend Kiichiro Toyoda. If family ownership of a business is “profoundly meaningful,” what does it mean? While it has its advantages — such as clarity as to who makes decisions — it is also an archaic structure. Management talent is not hereditary, employees without the right last name face a glass ceiling, and successions are often messy. Oddly, many of the car industry’s leading companies are still wholly or partially controlled by their founder’s families, including Toyota, Ford, Volkswagen, Porsche, Fiat and PSA. One of the contributions of Alfred P. Sloan at GM was to make sure it was not operated as a family business. Later, Soichiro Honda made a point of *not* hiring family members into his company. As he explained it, he didn’t want his employees to feel that there was any limit placed on their careers. Kazuo Kumabe: “There is a famous polishing machine factory called Lindner in the outskirts of Berlin. Many products are made in buildings set in a huge garden with modern glass windows. In the garden there is a beautiful lawn, a flower bed, carefully tended by a specialist. This is what they think of as a factory. In order to make good precision machines, it is necessary to keep up the spirit of the workers by refreshing and resting their eyes with greenery. The garden was made for this purpose. No one ever said it was unwise. 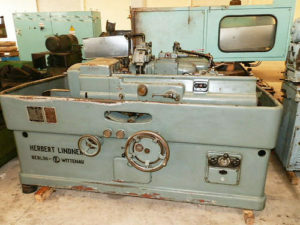 Michel Baudin‘s comments: Lindner polishing machines don’t seem to be made anymore but a used one can be bought in India for Rs 11,500. 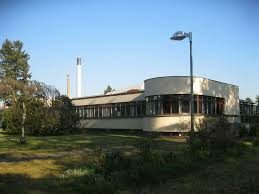 According to a site on the history of Berlin’s Wittenau district the Herbert Lindner factory was designed by architects Martin Punitzer and Hans Simon and built in 1932-33, before the Nazi era. By the time of Kumabe’s visit, Punitzer, a Jew, was a refugee in Chile. 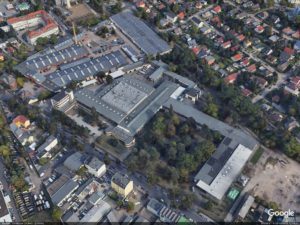 The Lindner plant is now officially protected as a Berlin landmark and featured in the architecture museum at the Technical University. Kumabe’s picture is from the small structure in the center of the Google earth view of the plant below. Many of the other structures appear to be later additions. Lindner plant in Berlin-Wittenau, Lübarser Str. To say the least, this factory has not started a trend and few factory designers have focussed on allowing workers to rest their eyes with greenery. Most shop floors are windowless and artificially lit. Kazuo Kumabe: “There is a small factory that makes Müller milling machines in Leipzig, a city famous for its publishing business and trade fair. While it is tiny, the owner, Mr. Müller, seemed an intrepid German who, after giving us a friendly tour of the factory, beckoned a tall girl wearing a pale, dirty overall in the corner of the office and said “Unfortunately, I do not have a male heir.” While it is truly regrettable, he can still leave the work to his descendants as this girl works wonders with a lathe or a drill. Michel Baudin‘s comments: Founded in 1906 by Felix Müller, the Müller & Montag milling machine company from Leipzig was nationalized by the future East Germany in 1948 and became part of Mikrosa VEB, which eventually became part of Schaudt Mikrosa GmbH, still located in Leipzig. Additional information about this company can be found in the hardcopy archives of the land of Saxony, out of my reach. Kazuo Kumabe: “As far as I could see, the drafting office looks very different from Japan. The drawing board is freely adjustable and the drafters work sitting. The Japanese drafters are all young. People over 50 think that there is no such thing as drawing a garden over reading glasses. In other countries’ drafting rooms, the perception is that, while old men draw slowly, you can get good results when they work in a team with young people, as they more or less complement each other. Michel Baudin‘s comments: Where we learn that, in Japanese engineering offices, drafters did not have adjustable drawing boards, worked standing, and were all young… None of this applies today. Kumabe’s other point is on leveraging both craftsmanship and technology, and of using experience without being limited by it. These are two distinct challenges. Craftsmanship is know-how acquired through apprenticeship from a master; technology, through study and science. The downside of craftsmanship is conservatism; that of technology, hubris. Kazuo Kumabe: “Needless to say, there are large factories and small factories. However, within the scope of what I have seen, each machine tool factory specializes on one type. If they make milling machines, then it’s only milling; if drilling, then only drilling. They outsource castings and fuel, and only finish and assemble in-house. Michel Baudin‘s comments: Kumabe’s assessment of specialization in the making of production machinery generally still holds for machine tools, and not just in Germany. In the US, Ingersoll is known for profile milling machines; in Japan, Mori-Seiki for lathes. The semiconductor equipment industry, on the other hand, has a company like Applied Materials making machines for many processes. Today’s milling machines are the result of 200 years of improvement on the same fundamental principle of moving rotating cutting tools over a workpiece. 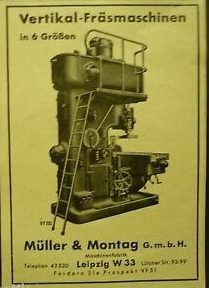 This evolution was slow enough for Felix Müller to start a company in 1906 to build milling machines and grow it for 3 decades while remaining current in technology. The suppliers of semiconductor equipment don’t have this luxury. Today’s state-of-the-art machines will be obsolete 4 years from now. The semiconductor manufacturers will need new processes with greater accuracy, possibly on larger wafers, and with tighter clean room standards. And the equipment supplier must meet these needs for customers in a cyclical industry. These different industry dynamics cause their respective equipment industries to adopt different structures. Michel Baudin‘s comments: Kumabe ends his article by exhorting these readers to study each other. It implies sharing what they learn. At the same time, in his article, he clearly didn’t share everything he learned on his trip with them. This raises the general question of what information companies should share or keep secret and protect. For example, when a company’s engineers invent a new process, management’s first reaction is to keep it secret. The consequence of not telling anyone, however, is carrying the full burden of building the equipment. If the company is the sole user of this process, outsourcing the equipment will be expensive. The supplier will have no one else to sell it too. On the other hand, if the company publicizes the process and competitors adopt it, the market for the supplier grows. As a result, the prices per machine to recover the development investment fall. But then the company that invented the process no longer has its exclusive use as a competitive advantage. What remains is the talent of its production organization in making a more effective use of it. Very interesting, most people know about Germany’s success in the auto industry, but I was unaware of how impactful there processes were. And having greenery in the factories seems like a great idea. Very interesting Michel. Thanks you for sharing it. Hard to believe that he (and Toyota) were in Germany by coincidence. 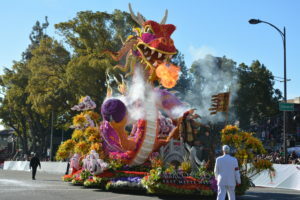 The negotiations between Germany and Japan that resulted in their Axis Powers agreement began in 1935 – a year before this report, and were formalized in 1936. Given that both Germany and Japan’s industrial leaders were completely intertwined with their political leaders a Japanese engineer visiting a German factory sounds like the sort of thing that must have had full political support from both countries. If I remember correctly, the Japanese technicians also visited a U-Boat manufacturing company. Bill, I know no specifics about political connections to Kumabe’s visit. All you can say from his article is that machine tool suppliers were treating him like a customer. Anything else would be speculation. Nice post. 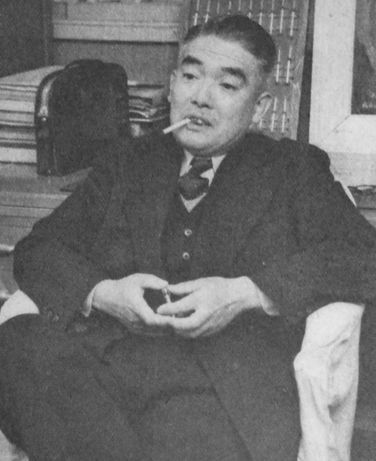 As for some comments by Kumabe, in the past, the Japanese had mainly 2 big industries (Heavy industry for the war and light industry for the spinning), then his comments came from these situations, I think. I mean, e.g., a shipbuilding company had many (small) suppliers near their plant. Thanks for your work and for sharing it Michel.